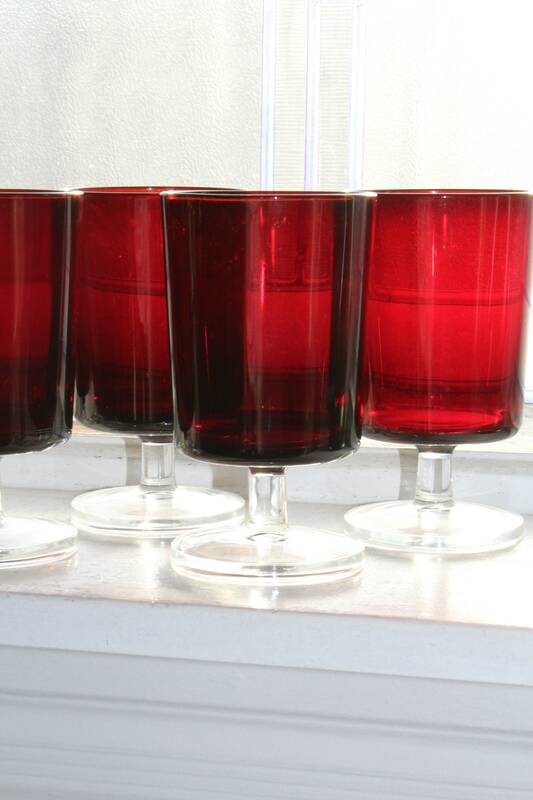 Set of 4 vintage Luminarc Cavalier ruby red stemmed glasses, in excellent condition. Each one measures 4 5/8" high x 2 5/8" wide. I also have other sizes in this pattern available in my shop.